By opting to spin off Coles Supermarkets, the $35 bln Australian group invites scrutiny of its coal-to-clothes hodgepodge. A Breakingviews analysis suggests a gap of 11 pct between its market value and the sum of its parts. It’s enough to spur a fresh strategic review. 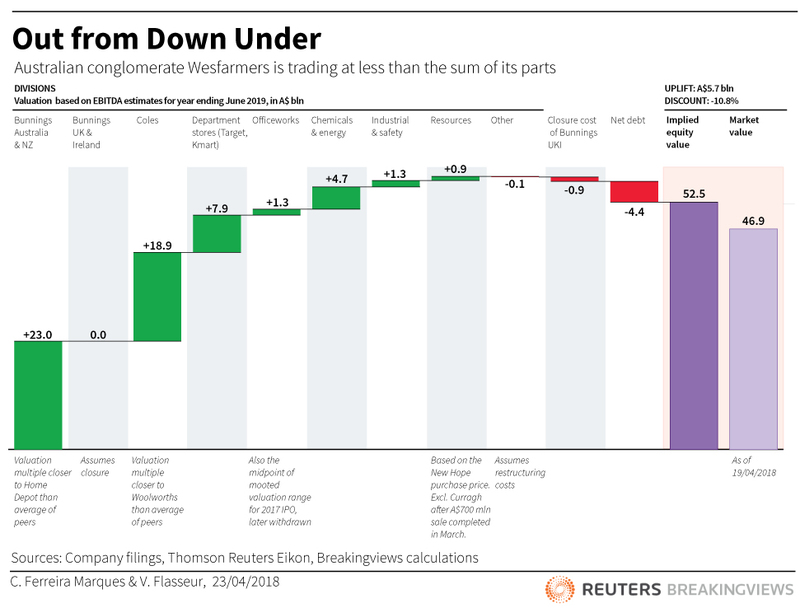 Wesfarmers, one of Australia’s largest companies and its biggest private employer, said on March 15 that it plans to spin off supermarket chain Coles, and list it on the Australian stock exchange. 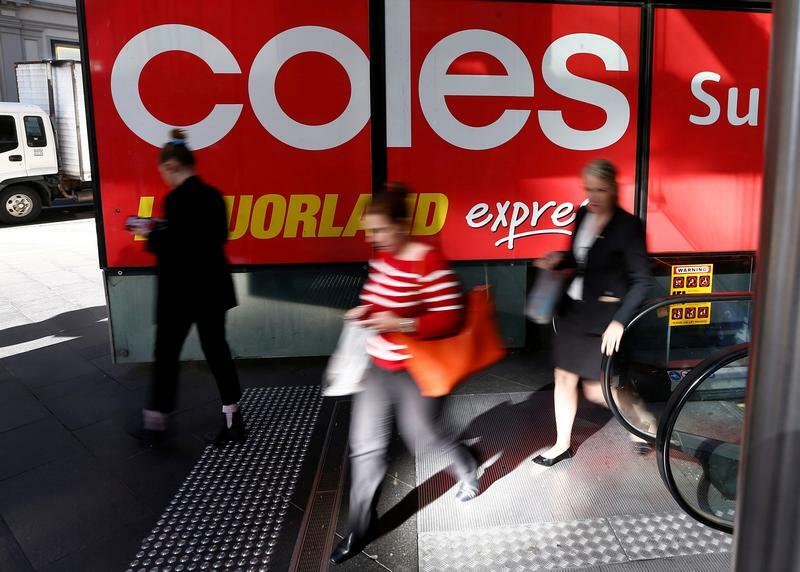 Shareholders will get stock in Coles proportional to their Wesfarmers holdings. The separation is due to be completed in the 2019 financial year.